As funding pressures, population change, and new models of care and management continue to develop within our health and social care system, the ability to encourage and drive innovation is more important than ever. Here, Dr Simon Turner, reviews recent studies on how an innovation-friendly environment can be achieved in local health systems. The aim of accelerating innovation to ‘transform care delivery’ comes from the NHS Five Year Forward View (.pdf), a policy document that set out how the NHS would need to change over the next five years, including the introduction of new models of care. I was not familiar with the term ‘combinatorial innovation’ that is used in the Five Year Forward View. In a related NHS England document (.pdf), combinatorial innovations are described as those which: “integrate new technologies and other novel approaches that offer the prospect of better care, and better patient experience of care, at the same or lower overall cost.”. The term appears to have been coined in a commentary piece by Google’s chief economist Hal Varian on combining different technological components to produce innovation in the internet age. This use of the term appears closer to economist Joseph Schumpeter’s (1934) concept of innovation as ‘creative destruction’ that enables the development of new products, processes, or organisational forms as ‘new combinations’ of resources. In healthcare, such combinatorial improvements might be seen as system-level innovations around care provision, that combine use of emerging technologies and changes to staff roles and relationships, and methods of getting these into practice, to support improvement. The term can also be seen as raising the bar for what constitutes innovation, in that it suggests that useful innovations are likely to require both the alignment of multiple forms of change (e.g. technologies, new patient pathways) that together support improvement and that innovations need to have multiple impacts (e.g. both improved patient care and reduced cost). The local health and social care system, which is receiving considerable attention from policymakers, e.g. interest in devolution of decision-making power or authority from central government to a local or regional level (See, for example, the review by my colleague Anna Coleman et al., 2015), could be seen as a key site where such layers of support for innovation can be brought together. What properties do local health and social care systems need in order to innovate? The emphasis, to me, in describing the need to bring together different forms of improvement (e.g. technological change, new care pathways, workforce improvements) lies in recognition that the challenge of innovation is having underlying ‘capabilities’ or know-how to make use of and combine resources (e.g. technology, expertise, coordination mechanisms) in systems of care. Such capabilities are needed to enable the timely introduction of innovations and to manage their implementation into the day-to-day delivery of care. Drawing on two recently published, open access papers on the topic of healthcare innovation (this from 2017; and, from 2018), I would like to explore the importance of two aspects of this system: (a) encouraging evidence use in decision-making on innovation and (b) supporting the implementation of innovations at the organisational level. Our research consisted of a systematic scoping review of qualitative studies that had looked at the role of evidence in decision-making on introducing innovations, as part of the wider DECIDE study on evidence-informed decision-making funded by the Health Foundation. The findings from the scoping review were supplemented with the practical experiences of healthcare innovators and decision-makers through focus groups. Our analysis of these studies and the focus group data suggested that interplay between processes at different levels (professional group, organisational, and local system) shaped the use of evidence in decision-making. In England, organisations for mobilising knowledge at the local level, e.g. Academic Health Science Networks (AHSNs) and Collaborations for Leadership in Applied Health Research and Care (CLAHRCs), were found to have an important role in validating evidence and legitimising innovation by those leading improvement (or making decisions about service disinvestment). They were also found to have an important role in encouraging uptake of innovations by tailoring evidence to different audiences (e.g. general practitioners versus secondary care specialists) and placing pressure on provider organisations within local systems to pursue evidence-based innovations. The 2018 study involved analysing new approaches to the delivery of outpatient clinics for the chronic eye disease of glaucoma. Population change and change to referral guidance has increased demand for outpatient appointments, which is placing pressure on hospital eye services. The study included tracing the development and implementation of a new model of clinic for stable glaucoma patients that was being piloted with an NHS Trust. The innovation involved the consultant eye specialist reviewing diagnostic data on a computer screen collected from patients by technicians, rather than seeing the patient face-to-face. Thus, the new clinic involved changes to the staffing of clinics and use of new technologies. The qualitative data collected (including gathering the views of managers and front-line staff and observing eye clinics and management meetings) revealed barriers to the implementation of this innovation. These barriers were found at both the front-line service level and to do with the way that the innovation was managed within the Trust. Drawing on the ‘resource-based view’ of the firm, the paper concludes that focusing on ‘capabilities’ or know-how for managing innovation is needed to support innovation – this involves bringing together different aspects of managing innovation within hospitals that might otherwise be seen separately. This includes contributing to improving inter-professional relationships between clinicians and managers; providing resources for innovation to create time and space for exploration (and maintaining this space in the context of front-line services pressures); and including staff views on changes to professional roles and relations brought about by service redesign. How might the local system context help health care providers to innovate? Taken together, these studies suggest the importance of mechanisms at different levels (including organisational know-how and local system infrastructure for mobilising knowledge) to support innovation that goes beyond ‘championing’ individual improvement activities or programmes. In order to support combinatorial or multi-faceted innovations, there is a need to take a ‘system’ perspective in which the contributions of stakeholders at different levels are recognised as influencing the adoption and implementation of innovations. A key aspect of this will be ensuring that the activities of clinical entrepreneurs, provider organisations, and local system infrastructure (e.g. AHSNs, CLAHRCs), that shape how evidence is used to inform decision-making on introducing innovations and their subsequent implementation into health care practice, are aligned in innovation policy and practice. This includes raising awareness among potential entrepreneurs and evaluators of the support available for mobilising evidence through partnerships between universities and NHS organisations, notably CLAHRCs (see https://www.clahrcprojects.co.uk/). It also demands recognition among decision-makers that a variety of evidence can be used to inform decision-making. The appropriate types to consider will depend on the stakeholders in decision-making that need to be satisfied in relation to particular innovations (e.g. clinical, managerial and patient perspectives on change that involves multiple sites). The DECIDE team is currently working on guidance for decision-makers, which will include the themes of considering diverse evidence and mapping potential stakeholders during the decision-making process (due May 2018). The research described in this article was supported by different funding streams. Turner et al. (2017) was derived from a project (DECIDE) which is part of the Health Foundation’s Evidence-Informed Decision Making in Health Service Innovation and Improvement Programme. The Health Foundation is an independent charity committed to bringing about better health and healthcare for people in the UK. Turner et al. (2018) was derived from an independent study funded by the Special Trustees of Moorfields Eye Hospital (Ref: ST 12 09 D). 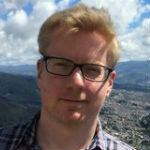 Dr Simon Turner is Senior Lecturer in Health Policy and Organisation in the Centre for Primary Care at the University of Manchester. His research interests lie in the application of social science theory and methods (particularly ethnography) to the study of the organisation and improvement of health services.